I can do the course. Awww yeah! I'll try and come up with something cool. I can be EC if you need. I can be SS if Russ cant make it or backup if can. Last edited by Mel Kuipers on Fri Sep 02, 2016 8:02 am, edited 1 time in total. Two pad partay with Rusty!! Don't forget, this is the last chance to race for the year! Dont skip this event only to regret it in a few months. The course should be great and the event low key. 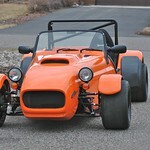 Come out for a nice fall weekend and get some fun driving in before we put on the snow tires! 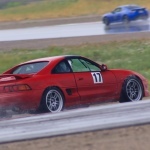 This is almost always my favorite event of the year and a perfect time for those that normally only compete with us here in Bozeman to make the trip up and get out one of the best places to autocross in the entire northwest. Come for either or both days. Free camping and indoor showers. Not a bad deal. Thanks for the heads up. Who is coming to the event and can be chief of waivers? It's been a long time since we've been to Helena, when you state "both pads" does that include the road section of the facility? And how's the weather there these days? DougM wrote: It's been a long time since we've been to Helena, when you state "both pads" does that include the road section of the facility? And how's the weather there these days? If you know the facility in Helena you know there are large pads (one large one where we often park and one huge one that we normally drive on) and then some roads that come off the huge pad. Typically for this event we run on the two pads and not on the roads and this makes for a very smooth and fast traditional solo course that has lots of run off room. It's so much fun. I like running on the roads but nothing beats the 2 pad party. We still need a chief of waivers, who is willing and able? Mel Kuipers wrote: We still need a chief of waivers, who is willing and able? It seems the powers-that-be are watching the weather closely and if the forecast holds considering rescheduling the event for the weekend following this one. We still need a Chief of Waivers for this weekend. Jmudge wrote: We still need a Chief of Waivers for this weekend. I assume the event is still on? I plan on heading to Helena about 1:00 pm tomorrow. Weather looks iffy but what the hey! The event is still on. I should be there sometime tomorrow afternoon. See you there! It looks like we will be parking and staging for this weekend's event out on the big straight near the sweeper. So when drivers arrive they should head out in that direction. I just did the audit and would love to hear about the event. Think of it as an inquiring mind wanting to know. It looks like it was easy to get a top 10 finish. Mel Kuipers wrote: I just did the audit and would love to hear about the event. Think of it as an inquiring mind wanting to know. It looks like it was easy to get a top 10 finish. It was a really fun weekend Mel - you would have enjoyed it. The turnout wasn't huge but we had some very quick drivers on a classic solo course. The weather varied from cool sun to cold and damp and we saw rain at the end of both days but most everyone got 10 dry runs each day. The Mudge course very much rewarded smart driving and looking far ahead. I was at the top of second most of the time with one section of 3rd gear and a top speed of about 72ish mph. We had a few spins but no one went into the dirt and there were no "wheels off" incidents. We had a few first time drivers and it looked like everyone had a great time.